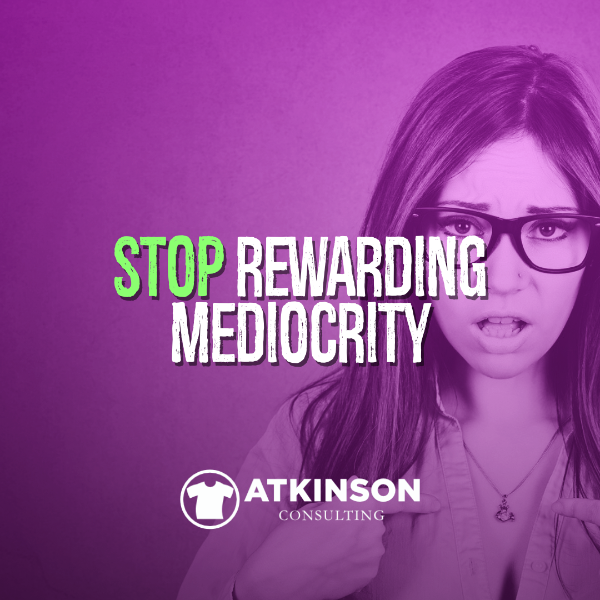 If you want growth to accelerate like a bullet train this year, stop rewarding mediocrity in your business. This means rolling up your sleeves and doing something about that worker whose attitude and performance can be described in one word. You know who I’m talking about already, right? Chances are you haven’t done anything about them because properly managing them seems too difficult. These are the middle of the road folks. They aren’t bad enough that you would fire them, but if you had to make the decision over again you wouldn’t have hired them. So, that leaves you in a pickle. For starters, let’s get this out of the way. Mediocre workers are a sign of poor leadership, not necessarily bad staff. Oh, did I just touch a nerve? Let’s dig a little deeper into this challenge and explore what I mean. Mediocrity creeps up on you in stealth mode. One minute things are humming along well, and the next minute nothing is coming out the way it should. For starters, do people that work in your company even know what they should be doing? Chances are, your leadership team has not communicated clearly the expectations of what success looks like. That means when you see that guy wandering around not really working, has anyone specifically outlined to what his tasks are right now? When he finishes that task, what’s next? Also, has anyone described or illustrated what quality looks like with these tasks? Or, how long that task should take? I know that in your mind you think that it’s obvious on how things should work, but that’s not often the case. The “you get what you get” plan isn’t good management. You need to define exactly how to do something if you want better performance. This means providing examples, and clear instruction. Make sure that people understand. This might go beyond a head nod, as I’ve had plenty of workers affirm that they understood how to do something and then proceed to completely do it wrong. Has that happened to you before? Only after you have made sure that the people doing the work understand what to do, have adequate time, with functioning equipment, can you expect success. Then, don’t settle for anything less. When nobody really has a concrete grasp on performance, mediocrity can thrive. The absolute best way to push for better performance is to use metrics to illustrate what’s going on. Data shines a light on everything. Good or bad. Not capturing the data ensures that mediocre performance can just be a fuzzy guess or gut feeling. For example, if your production crew is simply running jobs without a plan or expectation on what is to be completed by the end of the shift is it any wonder a huge chunk of jobs are late on the schedule? Instead, what if your team measured performance? You’ll know the setup time. The runtime, and even how long it takes to break down the job. How many jobs do they typically complete a day? With these averages, you can completely understand the daily capacity of your production teams. Using that information, building a predictive production schedule is easy. Then, you can stage everything for tomorrow today. The expectation is that the crews will produce the jobs on the list. You are measuring their performance and if they complete their tasks on time or not. It’s hard to hide when the spotlight is focused on your work. When people are proud of their performance, it’s hard to accept anything but excellent work. As a leader, make sure you are getting feedback from the supporting staff. Also, if you can build a culture of peer leadership that pushes mediocrity out the door that’s great. Top performing employees usually don’t want to work with someone that is sub-par. If you can, get under-achieving employees mentorship and some coaching. Talk to them and actively listen to their responses to your questions. Questions like, “What do you need?” or “What don’t you know?” or “Help me understand?”,can go a long way to comprehending the situation with someone that isn’t pulling their weight. Feedback is a great way to stay on the path of improvement. What I see sometimes though is floor supervisors or managers ignoring someone that is struggling. They know that this particular person may be slower at something than other employees. Yet, nothing is said or done about it. They walk past without saying anything. This industry is like any other in that there often is a “trick” or “tip” that can make a world of difference. Don’t expect everyone to instantly know these simply because they clocked in today. Take a minute and show someone a better way to work. You might be surprised at the result. There is one thing that needs to be addressed and that is how leaders handle mediocrity. One of the biggest challenges shops in the decorated apparel industry face currently is that it is a tight job market. Choking an underbase in art, exposing a screen, digitizing an embroidery file, running the equipment, or even being good at sales…these are hard to come by skills. These folks just don’t grow on trees. So, what happens is that we let people come to work in our shops that have the potential for these skills. Maybe they can learn them…maybe they can’t. A few months go by since you hired them, but despite your attempts at training and providing the education, they aren’t doing things the right way. Time for some tough decisions. A chronic poor performer sinks the rest of your team. Those mistakes they are making add up. But yet, why do owners or managers keep these people on the payroll? You know your crew is asking the same question. Remember, nobody is guaranteed a job for life. It is completely ok to make a decision and go in another direction. When you put that decision off, you are sending other messages to the rest of the employees too. 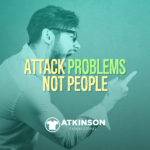 You can’t insist on excellence in one breath, but in another take a pass on handling employee management concerns. Performance acceleration is easier to do if you are actively working on creating a culture of excellence. This is a place where mediocrity isn’t tolerated. 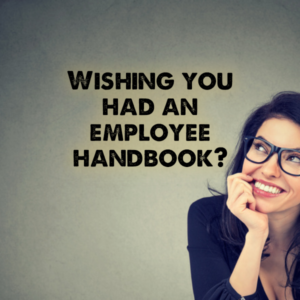 Do you wish your shop had an Employee Handbook like bigger companies? Maybe you’ve thought about it, but it simply seems too daunting a task to start. After all, thinking up the guidelines for your shop is hard. One of the sections in the “Shop Basic Info Pack” is a template you can use today. All you need to do is add your shop’s info. Get that idea off of your “to do” list and on your “done” list. Buy the “Shop Basic Info Pack” eBook for $49 and start giving your employees clear expectations for your shop.